Sybarite5’s “rock star status…is well deserved” (Sarasota Herald-Tribune). From the moment their bows hit the strings, this quintet of talented, diverse musicians takes the audience on an exciting ride that redefines the rules. 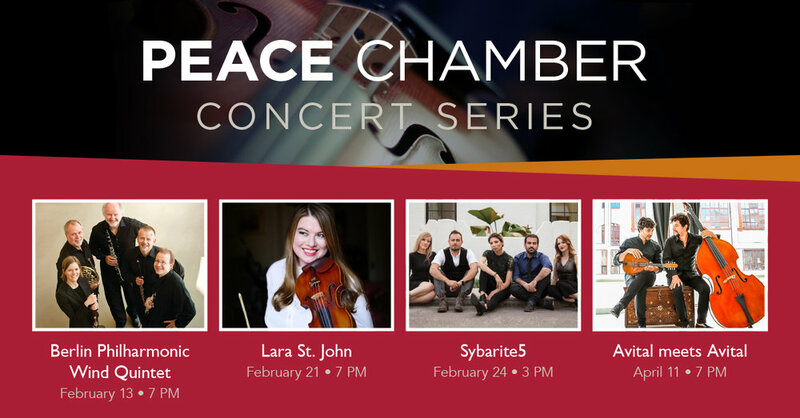 Dubbed the “Millennial Kronos,” Sybarite5’s eclectic repertoire from Bowie to Radiohead and Akiho to Assad combined with its commanding performance style is turning heads throughout the music world. The quintet’s debut album, Disturb the Silence, quickly reached the top ten on the Billboard charts, and their live performances will “satisfy your inner rock star and your secret Mozart" (Arizona Daily Star). Canadian-born violinist Lara St. John has been described as "something of a phenomenon" by The Strad and a “high-powered soloist” by The New York Times. Starting the violin at only two years old, St. John made her first appearance as soloist with an orchestra at age four and made her European debut with the Gulbenkian Orchestra when she was 10. She has been featured in People, US News and World Report, on CNN's Showbiz Today, NPR's All Things Considered, CBC, BBC, a Bravo! Special called Live At the Rehearsal Hall, and on the cover of Strings. Our Annual Holiday Sale runs NOW through December 22nd. Don’t miss this great sale! Vendor Applications open for Bernhardt Christkindlesmarkt! We are excited to offer vendor spaces this year at our second Bernhardt Christkindlesmarkt. This event will be held on November 24, 2018, Small Business Saturday. We normally have over 100 people walking through our doors on this day. If you are interested in becoming a vendor, please fill in the form below by November 9, 2018.